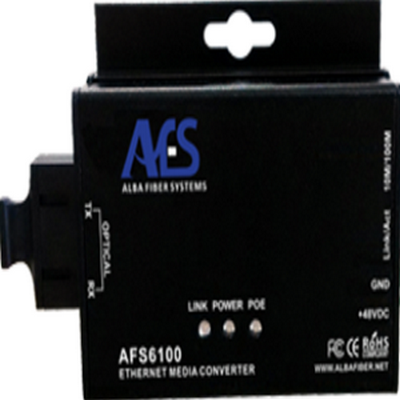 The ALBA FIBER SYSTEMS Series AFS6100 are media converters designed to transmit and receive 10/100Mbps data over one or two optic fibers. Units feature half or full duplex mode and Auto-Negotiation to 10Mbps or 100Mbps Ethernet rate without adjustments. The optical interface operates at a 100Mbps rate. Plug-and play design ensures ease of installation and no user electrical or optical adjustments are required. The AFS6100 Series are environmentally hardened to operate in extreme temperatures. Features included are LED indicators for monitoring equipment link and performance operating status and auto resettable voltage transient fuses. The Series AFS6100 are outstanding products for transmission of 10/100Mbps Ethernet signals. major data protocols; IEEE 802.3 compliant. Alba Fiber Non-PoE power supply - 95-240VAC Plug-in Power Supply 12VDC 1A, American Plug, for AFS6100 and AFS6100G Series. Alba Fiber Industrial Ethernet 10 Ports Managed Switch. 8 x 10/100/1000Base-T/TX copper ports, or 8 x 10/100/1000Base-T/TX copper ports with PoE, 2 x 1000M SFP ports. Din-rail or wall mount installation. 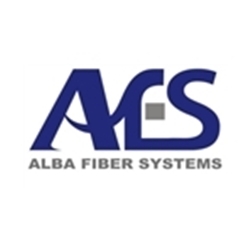 Industrial temperature operating: -40° F ~ 185 ° F.
The ALBA FIBER SYSTEMS Series AFS8210M, is a Layer 2, network managed Industrial Ethernet Fiber Switch with eight (8) 10/100/1000Base-T/TX ports and designed to transmit and receive 10/100/1000Mbps data over two user selectable SFP options. Units feature MDI/MDIX Full/Half Duplex Auto-Negotiation, 10/100/1000Base Auto-sensing and compatibility with major Network Protocols. The optical interfaces operate at a 1000Mbps Ethernet rate. Redundant ring, plug-and-play performance, ensures ease of installation; no user electrical or optical adjustments are required. Features included are advanced network management functions as QoS, VLAN, IGMP, snooping/GMRP, Port Trunking, SNMP V1/V2/V3 RTSP/STP and LLDP; low power consumption, LED indicators for monitoring equipment link, operating status activity and auto resettable voltage transient fuses. Additionally, they are designed with DINRail or Wall mount, fan-less, IP40 rated Aluminum enclosures in industrial extended temperature version. With dual (2) redundant inputs 12- 55VDC voltage, the Series AFS8210M are outstanding products in transmission of 10/100Mbps Ethernet signals for industrial Layer 2 Managed Network Installation. Alba Fiber Industrial Ethernet 24 Ports Managed Switch. 12 x 10/100/1000Base-T/TX copper ports, or 12 x 10/100/1000Base-T/TX copper ports with PoE, 12 x 1000M SFP ports. 19'' x 1U rack mount installation. Industrial temperature operating: -40° F ~ 185 ° F.
The ALBA FIBER SYSTEMS Series AFS8924M, is a Layer 2, network managed Industrial Ethernet Fiber Switch with twelve (12) 10/100/1000Base-T/TX ports and twelve (12) 1000M user selectable SFP options. Units feature MDI/MDIX Full/Half Duplex Auto-Negotiation, 10/100/1000Base Auto-sensing and compatibility with major Network Protocols. The optical interfaces operate at a 1000Mbps Ethernet rate. Redundant ring, plug-and-play performance, ensures ease of installation; no user electrical or optical adjustments are required. Features included are advanced network management functions as QoS, VLAN, IGMP, snooping/GMRP, Port Trunking, SNMP V1/V2/V3 RTSP/STP and LLDP; low power consumption, LED indicators for monitoring equipment link, operating status activity and auto resettable voltage transient fuses. Additionally, they are designed with fan-less, IP40 rated Aluminum enclosures in industrial extended temperature version. 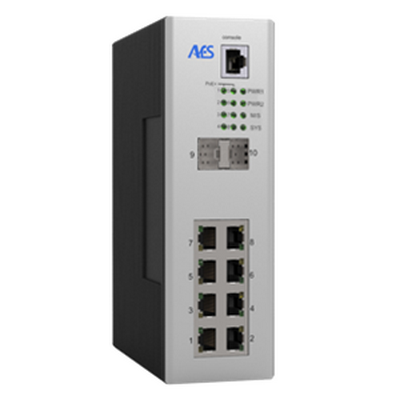 The Series AFS8924M are outstanding products in transmission of 10/100/1000Mbps Ethernet signals for industrial Layer 2 Managed Network Installation.